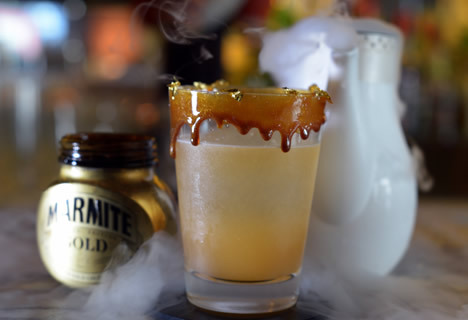 Love it or hate it, Artesian, the 'World's Best Bar' as voted for by Drinks International, is now serving a Marmite Gold Rush . Inspired by the Marmite Gold Oxford Street Christmas lights, retire to Artesian to have an unforgettable cocktail experience. The cocktail itself is a mixture of grapefruit juice, vodka, sugar cane syrup and a barspoon of Marmite Gold drizzled around the rim, served with a teapot of Marmite flavoured steam. Upload a photo of the Marmite cocktail to The Langham, London's Facebook or Twitter for the chance to win Afternoon Tea for two.